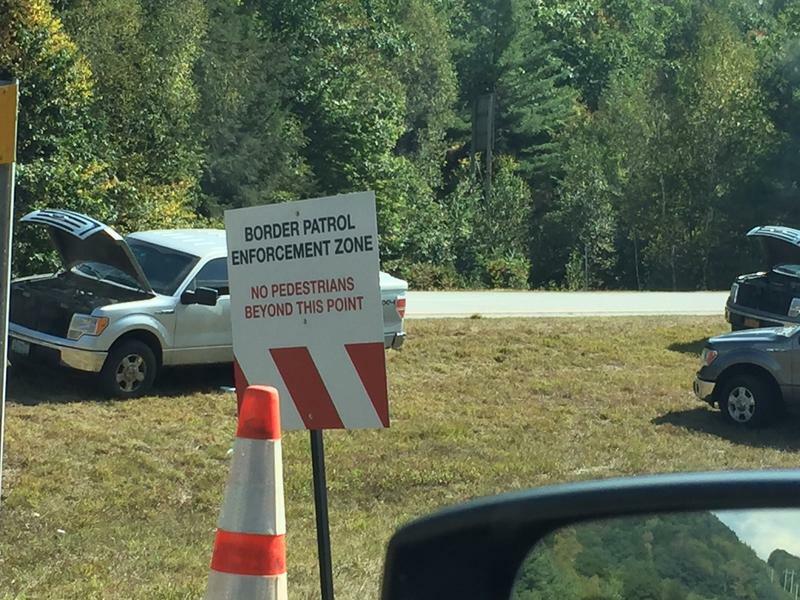 During multi-day checkpoints in August, and then again in September, Border Patrol agents, in collaboration with police from the town of Woodstock and State Police, stopped vehicles in the southbound lanes of I-93 near the town of Woodstock, about 75 miles as the crow flies from the Canadian border. Along with the detention of more than two-dozen undocumented immigrants including minors, Border Patrol and local law enforcement also made arrests for drug charges. During the multi-day checkpoints, Bissonette believes that hundreds and possibly thousands of individuals were subjected to illegal searches by the dogs. The ACLU-NH has filed a motion in Plymouth District Court on behalf of 18 legal residents who face drug charges following the checkpoint. A hearing on the matter is scheduled for January 11th. Under federal law, U.S. Customs and Border Patrol agents are permitted to stage immigration checkpoints within 100 miles of an international or nautical border. The checkpoints on I-93 this summer were the first in more than five years, and represented a more aggressive approach to enforcing immigration laws under the Trump Administration. New figures released last week by the Department of Homeland Security show that the Swanton Sector of the U.S. Border Patrol, which covers sections of New York, Vermont and Northern New Hampshire, completed 449 apprehensions during the most recent fiscal year ending September 30, 2017. That’s up more than 54% from the previous year. U.S. Border Patrol agents arrested eight adults for immigration violations during a three-day checkpoint on Interstate 93 in the town of Woodstock last week. Customs officials say those detained were from Bulgaria, Ecuador, El Salvador and Guatemala, including two people who overstayed their visas. In addition, agents seized small quantities of marijuana and hash oil from U.S. citizens during the roadblock, which was coordinated with the New Hampshire State Police. U.S. Border Patrol agents staged a weekend checkpoint on Interstate 93 in Lincoln, New Hampshire over the weekend, resulting in the detention of 25 undocumented immigrants, including several minors. 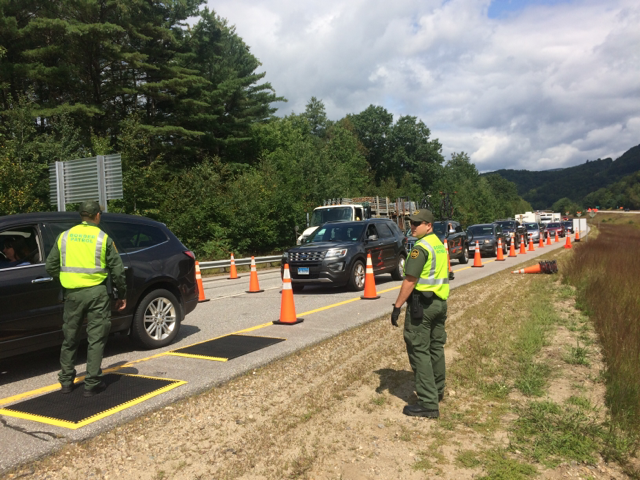 U.S. Customs and Border Protection agents are again staging an immigration checkpoint on Interstate 93 in the town of Woodstock, New Hampshire, approximately 75 miles from the international border. In August, Border Patrol agents detained 25 undocumented immigrants, including several minors, during a weekend checkpoint. The majority of those detained were for overstaying their visas. Thirty legal U.S. residents were also arrested by the Woodstock Police Department for various drug and alcohol related offenses.